Regular readers of this blog will know that we've shared many wonderful stories about the use of 3D printing in the field of medicine. The technology has quickly been adopted for everything from the growth of replacement organs to the creation of prosthetic limbs. The processes associated with 3D printing could become one of the most revolutionary advances in the history of modern medicine. With all the advances made so far, perhaps the most pleasant surprise is that they're showing no signs of slowing. Thanks to this technology, ailments and disabilities previously thought to have no treatment could have possible cures. The following stories document the latest advances of medical 3D printing, and it's safe to say they won't be the last. Scientists at the University of Florida recently made headlines when they revealed that they'd created a new gel-based 3D-printing process. Printed using this process, the final product is less likely to fall apart after printing is complete. 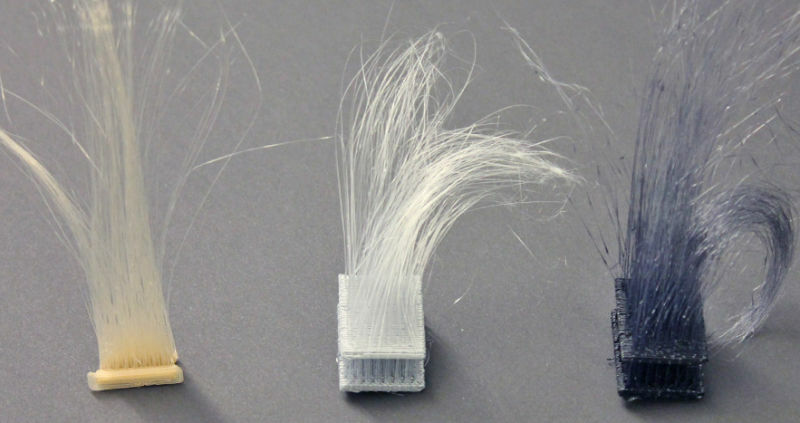 The University had successfully printed complex shapes with a variety of materials, including living cells from human blood vessels and canine kidneys. Although this would seem to be the perfect prelude for the printing of replacement organs, the university's team was unable to keep the living cells alive within the gel. That's where Carnegie Mellon comes in. Researchers at Carnegie Mellon have long been working on their own process for 3D-printing organs. 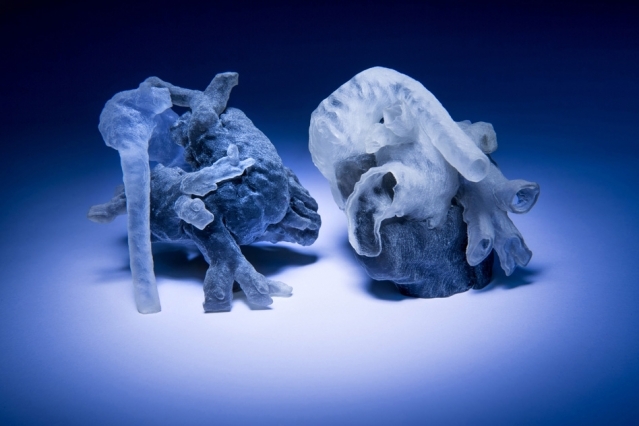 They recently had a major breakthrough when they concluded that they could successfully print a working human heart. 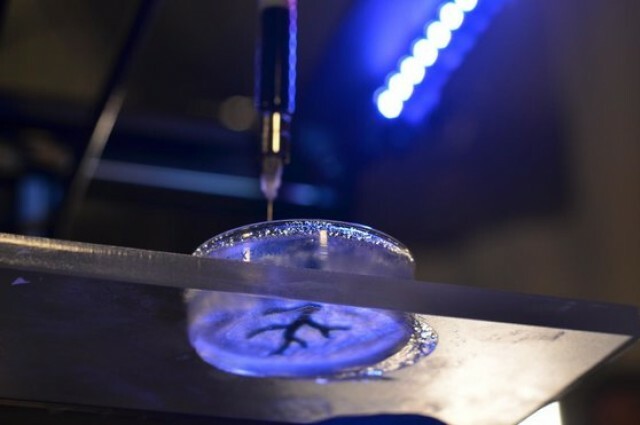 Using a chemical-based gel process of their own design, the researchers began printing arteries and veins. The heart being an organ that is unable to repair itself when injured, the importance of the Carnegie process was not lost on its creators. Although printing a complete organ is still expensive and time-consuming, the idea that it may become a commonplace process isn't so far-fetched anymore. The ability to procure a prosthetic limb isn't only a matter of restoring physical ability. Social stigmas associated with being an amputee must be overcome. Great strides have been made in making modern prosthetics as visually appealing as they are functional. Yet, as appealing as the new designs are, they still lack sensation, and may draw unwanted attention to the amputee. It has long been the goal of prosthetic designers to create a skin-like covering that would look as real as organic skin and provide a sense of touch to the wearer. Science has just moved one step closer to attaining these goals. Researchers at Stanford University, led by electrical engineer Benjamin Tee, have created a system they call DiTact (The Digital Tactical System). It uses a series of sensors in the prosthetic which sends signals back to the optical nerves in the brain, restoring a sense of touch to the amputee. 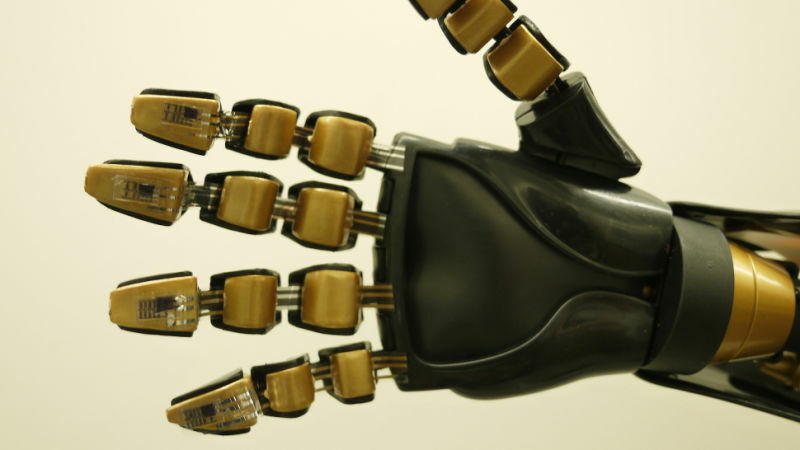 What's more, the artificial skin is made from flexible material. The next step will be to recreate the look of organic flesh. This is, however, only a long-term goal for the Stanford team. As inspiring as the above stories are, it's too soon to say that made-to-order organs will be readily available. But with 3D-printing technology being used to create everything from fire arms to human teeth, don't be surprised if printed replacements come sooner than you'd expect. Longtime readers of this blog know that we're quite fond of LEGOs and fascinated by the use of 3D printing in the field of medicine. So when news broke of these two elements being brought together, it was only a matter of time before we told you folks about it. Colombian-born designer Carlos Arturo Torres interned for six months at LEGO's Future Lab. Impressed by the company's dedication to social outreach, Torres convinced them to sponsor a trip back to his hometown of Bogotá, wherein he would observe amputees at Cirec, a rehabilitation center. After spending time in the center’s youth ward, Torres came up with an idea to make a medical attachment out of their favorite toys. As Torres discovered, amputee children not only have to function with a missing limb, but also face a greater social stigma amongst their peers. "My friends in psychology used to tell me that when a kid has a disability, he is not really aware of it until he faces society," says Torres. "That's when they have a super rough encounter." Torres' design, named "Iko", is for amputees aged to 3-12, covering many of the most important developmental years in a child's life. The attachment allows the child to accessorize and customize the prosthetic as they see fit, helping to build the patient's self-esteem as well as providing functional movement. After successfully testing the prototypes at Cirec, Torres hopes to have 15 more units ready by this December, with a full production line ready by mid-2017. Secure printing is usually a term reserved for such high-security jobs as printing banknotes, identification, passports, and financial certificates, but many businesses print documents that have just as much a need for security measures as any of these. Secure printing does not simply mean printing documents so they cannot be forged, it also means printing documents so that they do not fall into the wrong hands. Printing is one area where security is often lax. Firewalls and network security only protects data from unauthorized computer-to-computer transmission. It does not stop someone from simply printing documents and walking out the door with them. Too many businesses in high-security industries such as finance, healthcare, government and education perform their printing on standard printers with no security measures in place. Most of these businesses should be doing just the opposite by rigidly controlling who can operate printers and what information can be sent to them. The best way to accomplish this feat is through secure biometric printing. Printers are often the largest security gap in companies that store sensitive data. Data security experts estimate that up to 30 percent of documents that are sent to the printer are left there and available for anyone to gather. In addition, most printers are left unprotected, so anyone inside the company can change their settings and reroute sensitive documents to accessible printers. Another way data is stolen from printers is from the printer memory. Oftentimes, recent print jobs are stored in printer hard drives and can be accessed by anyone. Allowing secure documents to fall in the wrong hands has a number of consequences for a business. At the top of this list is legal liability. Lawsuits are won each year against companies who could have prevented data theft. In some industries, companies who let sensitive data slip out are subject to government fines for industry violations. Many businesses could also lose thousands or millions of dollars in profit if corporate secrets, customer databases or marketing strategies fall into the hands of the competition. The need for secure biometric printing is real and can be monetized. Protection from losses caused by security breaches is available today at very reasonable prices. Secure biometric printing is not a solution within itself, but it is part of a full secure printing system. Secure printing begins with standard security protocols. Restricting physical access to printers, securing local area networks, requiring passwords and encrypting sensitive data are all strategies that can help secure printing, but much more is still required. Even if security protocols are observed, it is still necessary to secure printing hardware. Multifunction printers are notorious for their lack of security, but they can be buttoned down by making sure they are coupled with devices to control who can access and use them. Some companies use password access, while others use security cards. However, passwords can be broken, and security cards can be lost or stolen. The only fully secure method of controlling access to printers is through biometrics. Biometric security is the use of unique physical traits to control access to devices. Biometrics can include DNA matching, face recognition, voice recognition and eye scans. However, the simplest form of biometric security is a standard fingerprint reader. Secure biometric printing using a password and fingerprint combination is seen as the most practical form of printer security currently available. Fingerprints cannot be forged, making them very secure, and fingerprint scanners are among the most affordable pieces of biometric equipment on the market. Once the hardware is installed, all that is necessary for secure biometric printing to work is to scan the fingerprints of those who are cleared to use the printer and enter their passwords. After setup is complete, only the people whose fingerprints and passwords have been loaded will be able to use the printer for any purpose.